Originally, I thought I’d be clever by a half and do something snarky or funny but this ended up being quite a sincere work. Go figure. I really think Anya should write her book as a feminist essay on the importance of having one’s own space. 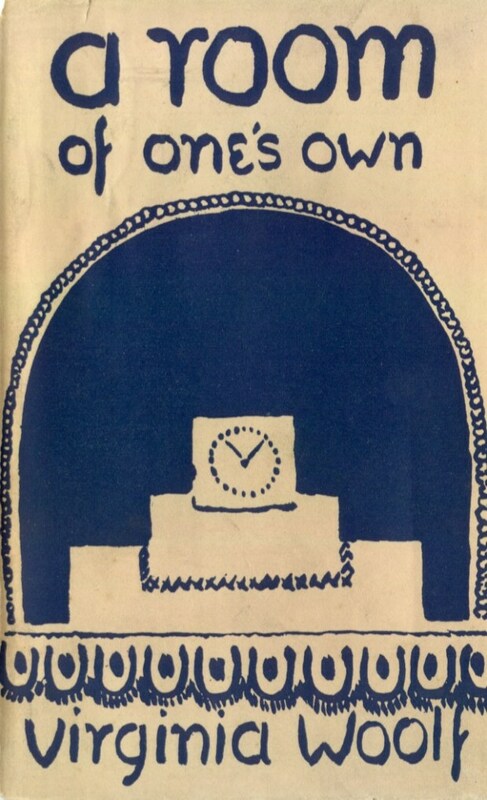 Based on the original cover of Virginia Woolf‘s essay, A Room of One’s Own drawn by Virginia’s sister, Vanessa Bell. My ex used to own gforsythe.net and he controlled the DNS which pointed to his server. It was infuriating when we separated that I was unable to access my own website or backups. In light of serious custody & access of our daughter, battling over a domain was low on my priorities. So I let gforsythe.net disappear into the ether. 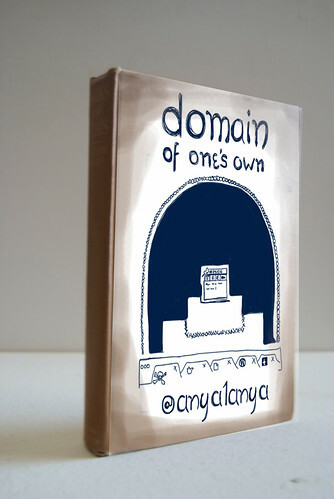 Eventually, one of my greatest acts of empowerment was to acquire my own domain (this one). gforsythe.ca sat fairly barren until the emergence of #DS106, wherein all my creativity was dislodged. Oh, and people actually read and commented! Unlike so many spaces online, the DS106 community is so inclusive, encouraging and helpful. I’ve never encountered any of the dreaded “ism”s that I keep reading about in other tech communities. I think this would be a great book and might actually scratch the surface and do DS106 justice. Technical aside: I imported the original cover into my iPad on AutoDesk Sketchbook Pro, created a new layer and traced the main elements and added the custom bits. I modified the clock to a WordPress dashboard and the pearls at the bottom to some Chrome browser tabs. Then I imported the drawing into Photoshop on my laptop and took a previous picture I’d taken at my friend’s bookstore and overlaid the drawing on another layer. I used the Free Transform-Skew to angle it properly. Then I used the eraser at 30% opacity to delete the hard edges to let the brown show through. You’re awesome, this enshrines a spirit of #ds106 that I think has always made it pure in my heart. Smack but not snark. This is a space free of the hang-ups of the biz or the “real world” -come, create, encourage, and move on. Sometimes it is easy forget this, but you nailed it here. Kudos! I agree with Jim. You are AWESOME! What a fantastic idea, and what a fantastic piece of art. I mean the idea for a book, not just for the art…yes, exactly. A domain of one’s own, not controlled by some male person who has all the knowledge and I just do what they say b/c I don’t know anything. I’m done with all that. 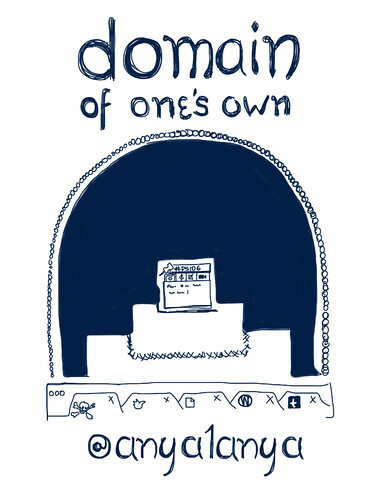 I have a domain of my own, thanks to reclaim hosting. Now all I need is some TIME of my own to do something with it!